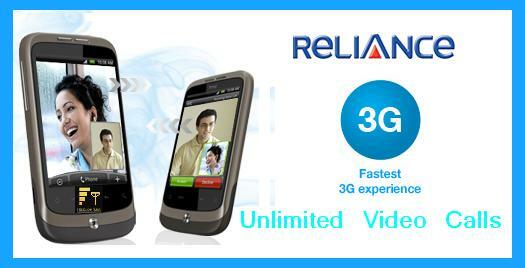 In an attempt to make 3G Video Calling popular, Reliance Communications (RCOM), India’s fully integrated telecommunications service provider, brings some exciting Unlimited 3G Video Calling (Local and STD) packs at Rs.199 and Rs.399 for postpaid subscribers across all 3G circles in India. Reliance Mobile’s Unlimited Local Own-net Video Call Plan-199 which will be available at discounted rental of just Rs.99 per month for 1st 6 months of subscription offers truly Unlimited 3G local Video Callings (Reliance 2 Reliance) within the own Network. While Unlimited (Local + STD) Own-net Video Call Plan-399 which is available at discounted rental of Rs.199 per month for 1st 6 months of subscription offers truly Unlimited 3G Local and STD Video Callings (Reliance 2 Reliance) within the own network. The discount on rental of both Unlimited 3G Video Call plans will be available to all postpaid customers subscribing these plan before 15th May’12.